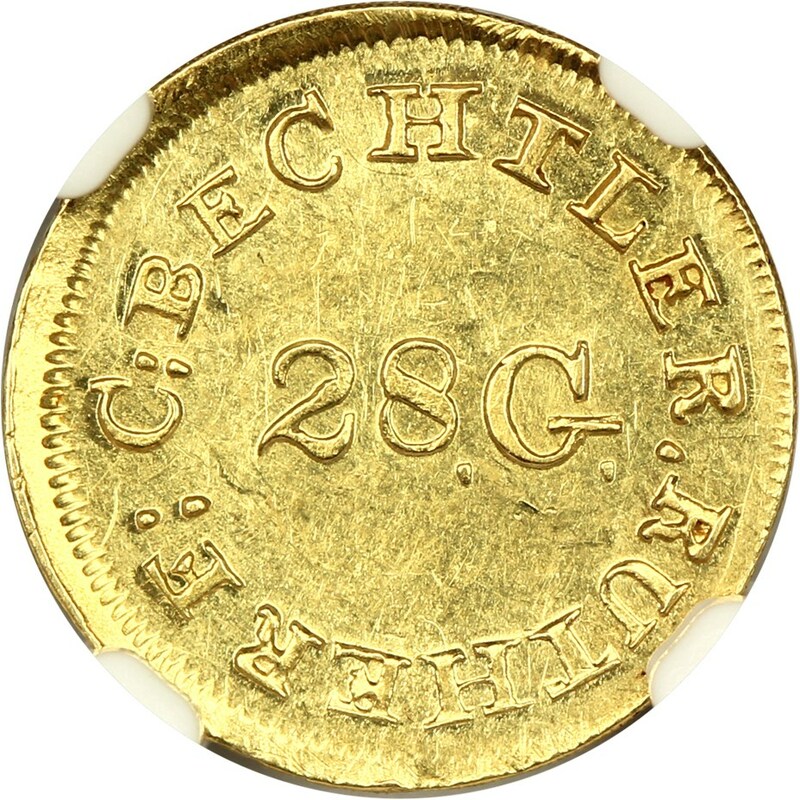 Well-centered strike with semi prooflike luster adhering. 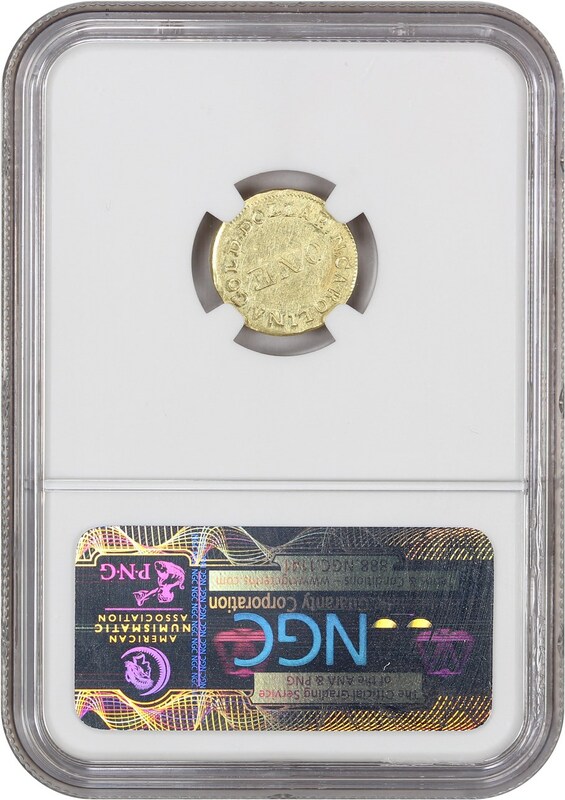 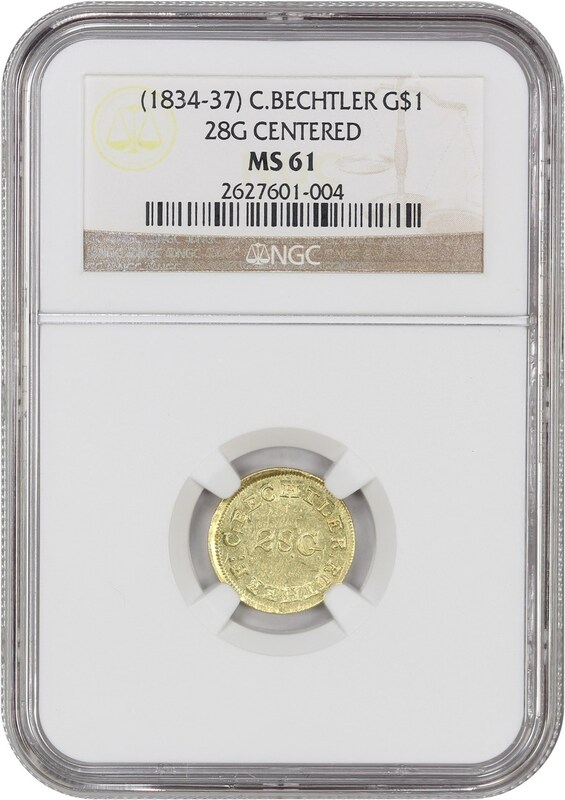 A rare centered date, the last auction appearance of a NGC MS61 fetched $34,500! 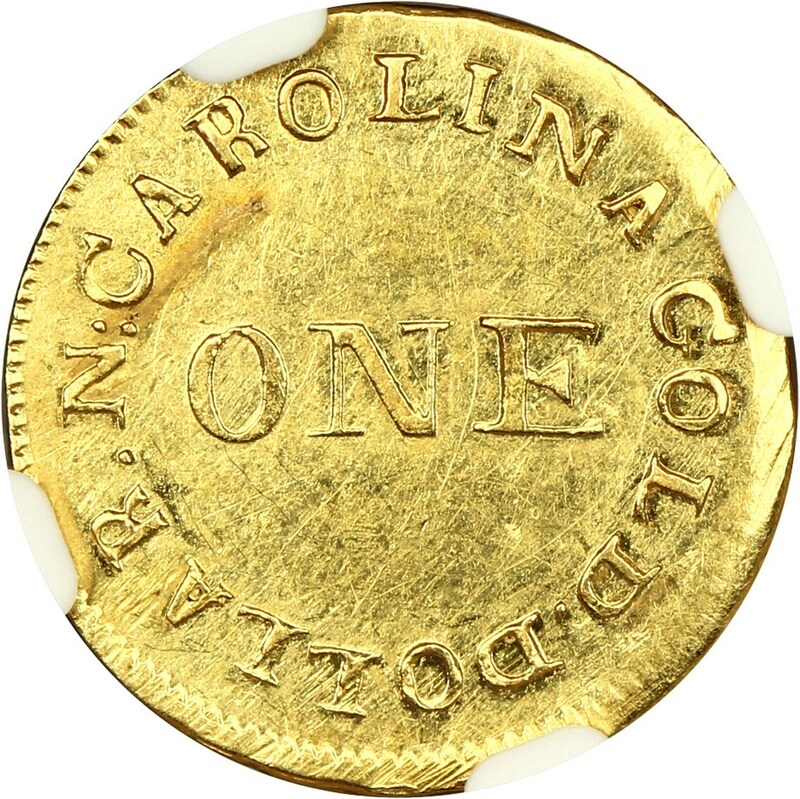 These first issues were sanctioned by the federal government and were our first gold dollars issued in America.